the Oerlikons) was seen to disturb the approach of of the war the simpler and slightly lighter (6,500kg) the Japanese aircraft. The recommendation was Mk V twin mounting was developed instead and strongly in favour of fitting Bofors guns in the future. The air cooling obviously limited the continuous this became the basis of the standard post-war twin mounting. 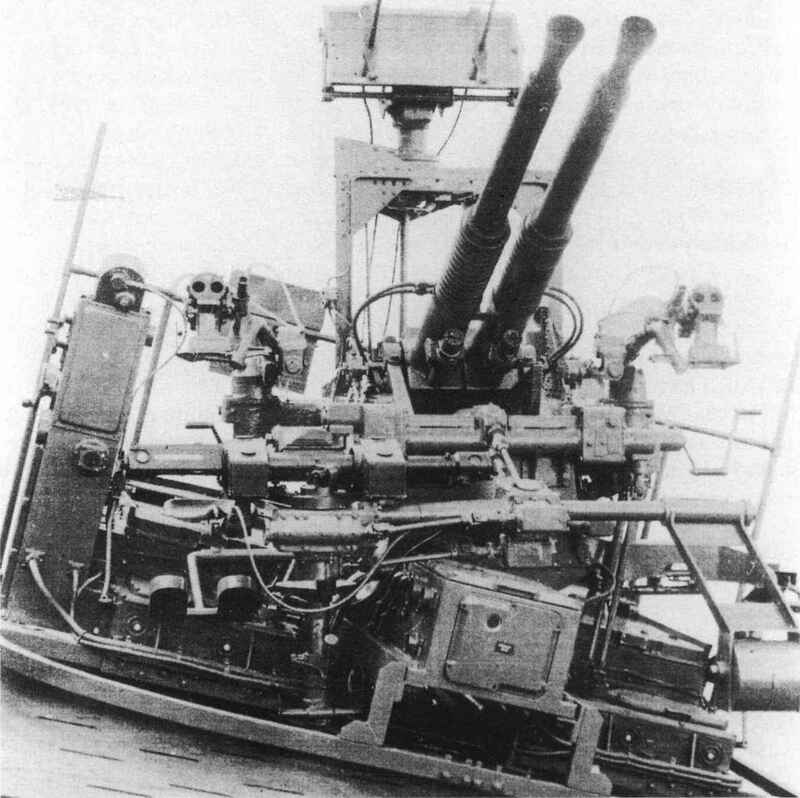 less of ship movement, but it weighed over 7,000kg ing dual-purpose wain guns.